In my opinion, one of the most problematic pieces of furniture is the coffee table. It appears to be so minimal and unobtrusive, but talk about a design dilemma! You don't want to go overboard with decor, but you also don't want a boring, bare table either! 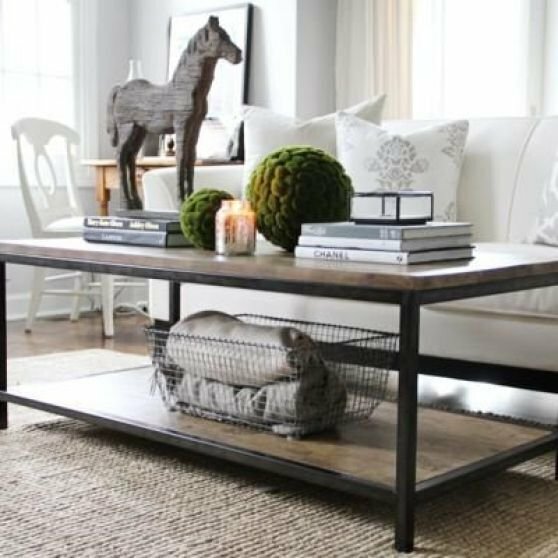 The first rule of thumb when it comes to decorating coffee tables is to make sure the items you have on display aren't all the same size or height. You want to have a good variety to help create visual interest! 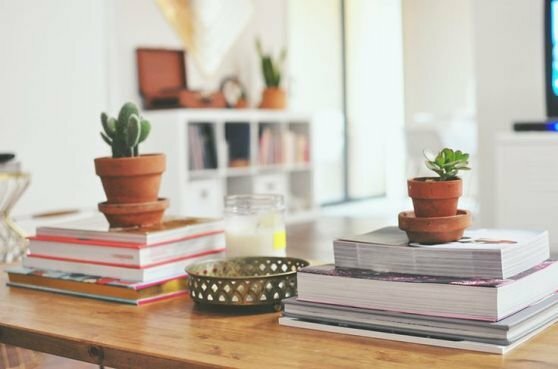 Use candlesticks, vases, stacks of books, etc. to create varying heights. Just remember, simple is good. 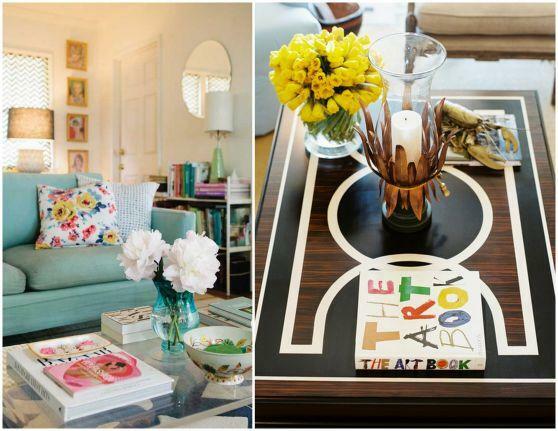 Don't get too carried away that your coffee table becomes a shrine that you can't see over! 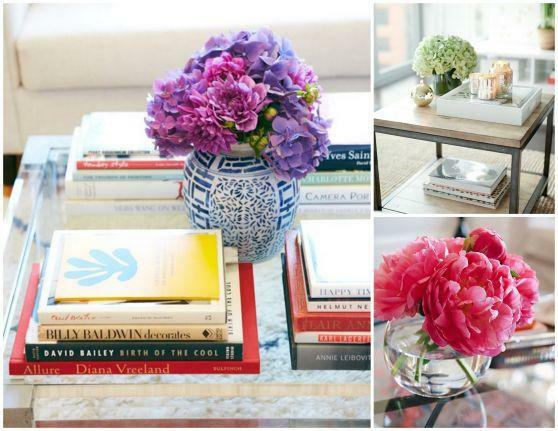 As far as I'm concerned, books are a staple when it comes to coffee table decor. 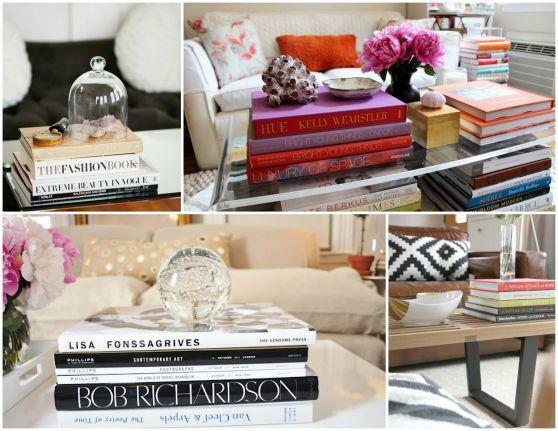 One of the first things a guest in your home notices and flips through are the books on the coffee table. 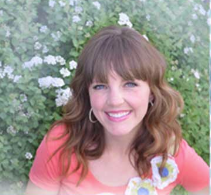 Decorate with books that express who you are and what your family loves. Displaying personal photo books on the coffee table is a great idea too- that way you might actually read them more than once a year! 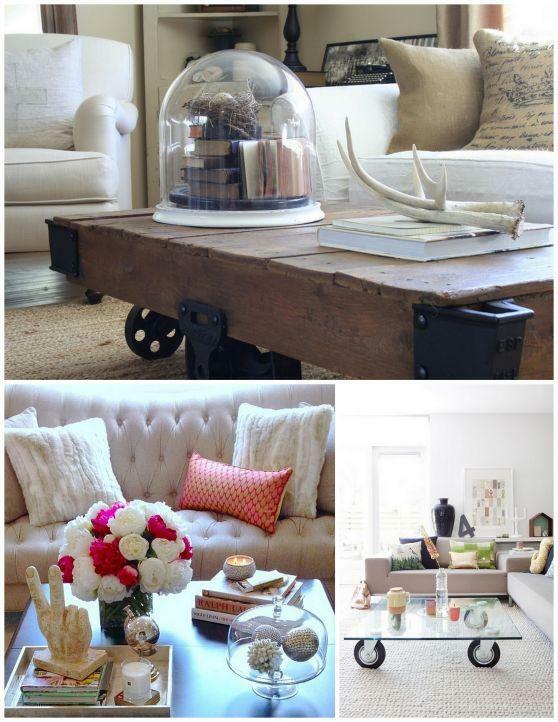 Use at least one fun, random object in your coffee table display that doesn't traditionally belong there. Not only does this keep things interesting, but it also tends to lead to great conversation with curious guests. The more random and strange, the better! Can you find the quirky objects in the photos below? 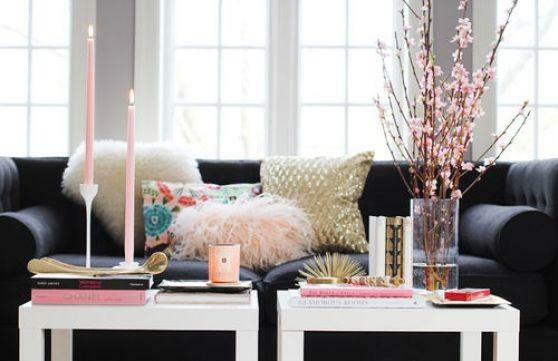 Fresh flowers or plants on your coffee table are a must! Have at least one living, breathing plant in your display to add a good dose of color & to keep things fresh and happy! 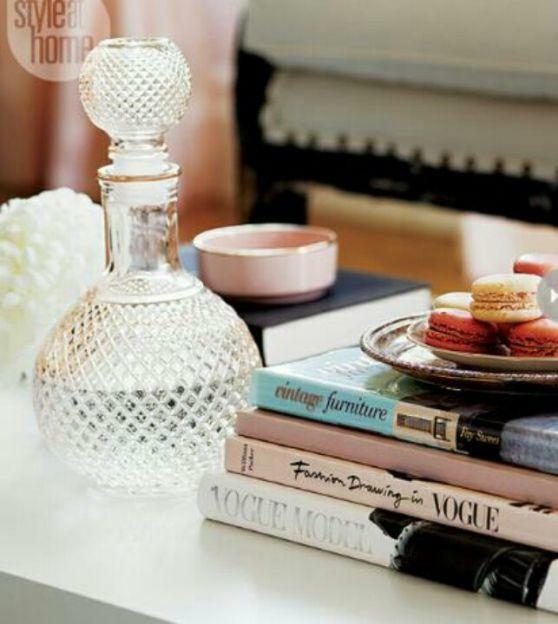 A great way to break up the surface and add another layer to your coffee table is to incorporate a pretty tray! They are incredibly functional and can help keep things nice and organized! 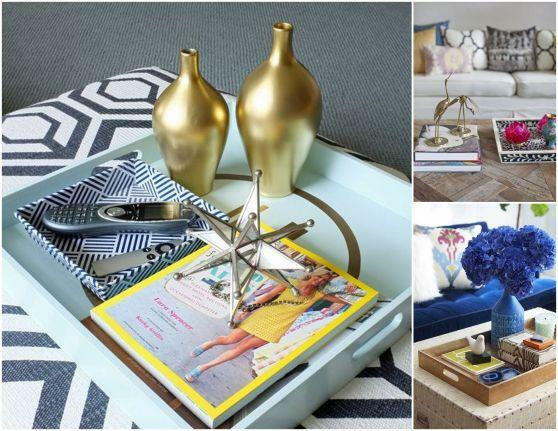 Trays make great storage compartments for things like remote controls, magazines, candles, etc. 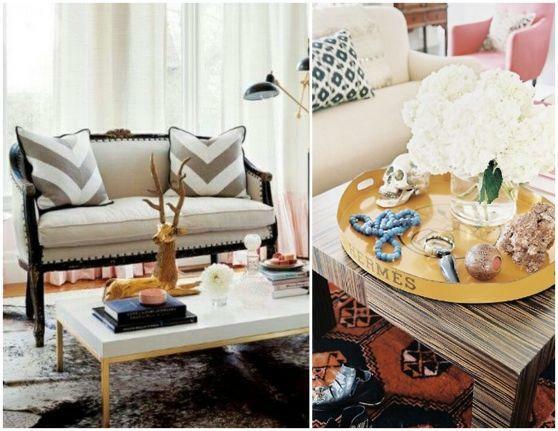 You don't have to look much further than your front door to get a little coffee table inspiration! 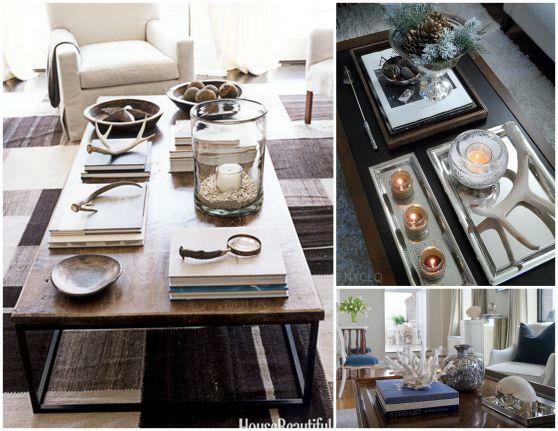 Use seasonal elements such as pinecones, sea shells, sand, wheat, etc. to create a beautiful display that will coincide with what's happening outside! Just remember what designer Barbara Barry said. "Artfully arranged, anything can become a thing of beauty." What's on your coffee table? ?